1. LED available colors: red, yellow, green, blue, white( warm white and cool white). 2. 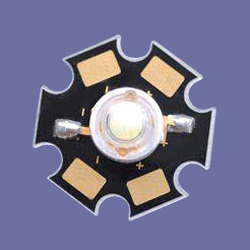 Highly efficient light with very low power consumption. 3. Multiple choice for power from 1W/ 3W/ 7W/ 9W/ 12W. 4. Long service life, the average life span is 50,000 hours. 5. Replacement for 20W halogen dichroic lamps. 6. With excellent heat sinking function. 7. Application: family, hotel, show business, lighting, marketplace, meeting room, exhibition. 1. High bright white: (1) Active impedance: 1.8Ω. (2) Forward voltage temperature index: -0.2. (3) Heat impedance: 17Ω. 2. High bright green: (1) Active impedance: 2.8Ω. (2) Forward voltage temperature index: -0.2. (3) Heat impedance: 17Ω. 3. High bright cyan: (1) Active impedance: 3.8Ω. (2) Forward voltage temperature index: -0.2. (3) Heat impedance: 17Ω. 4. High bright blue: (1) Active impedance: 4.8Ω. (2) Forward voltage temperature index: -0.2. (3) Heat impedance: 17Ω. 5. High bright navy blue: (1) Active impedance: 5.8Ω. (2) Forward voltage temperature index: -0.2. (3) Heat impedance: 17Ω.